The "Geology for Science Teachers” training program has been executed since 2007 in collaboration with the Ministry of Education. Over eight thousand high school science teachers from every part of Thailand have joined this program and all of the participants are in the post-training follow up program. 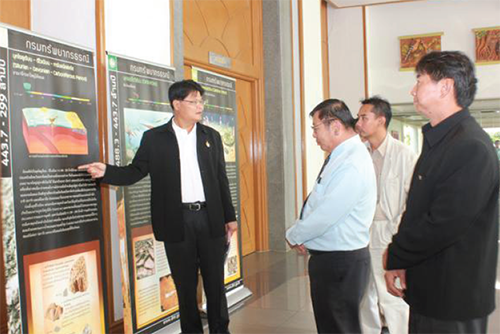 The DMR provides a paleontological research training program at the paleontological laboratory, Sirindhorn Museum. Science teachers and paleontologists from all over the country who applied for the program will be supervised by the DMR’s paleontologist experts. 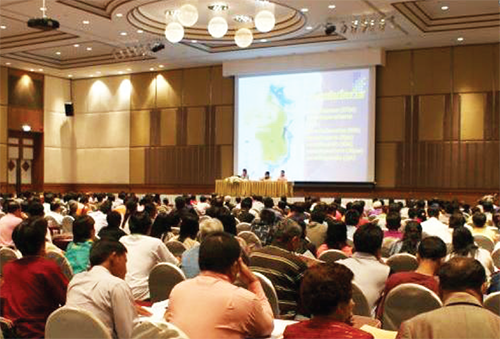 Geological seminars are regularly held in every region of Thailand with participants from concerned local government offices and representatives from local communities. 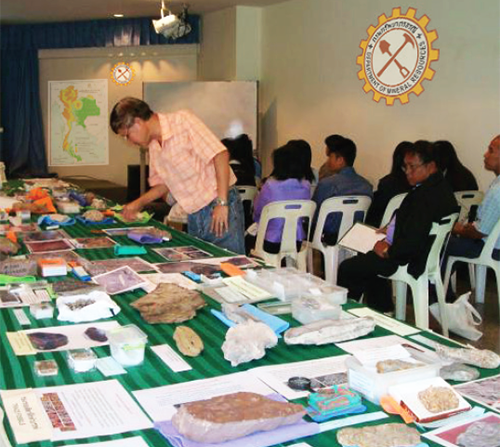 The topics of the seminars are mainly involved with the management of all geological resources, e.g., mineral resources, geoheritages, fossils and geohazards. The main purposes of all seminars are the wise uses of the geological resources, environmental protection, and especially the enhancement of quality of life.